Picking out the right pumpkin is the easy part. Well sometimes. We have spent many a hour searching the pumpkin patch for the right one. However, if you know how you want to carve your pumpkin it may be easier to choose. We all know about the traditional Shape Cut Pumpkin but how about jazzing up your pumpkin this year with some more creative carving and painting. We have also purchased the kits before where you download a face, tape it the printed face onto the pumpkin and then punch out the design. These do look great and depending on your patience you will have a wonderful looking Fortunately we don’t have kids smashing ours so the hard work sticks around until it rots! This was my husband’s idea for a joke for my children, they were only 5 and 7 at the time. I think that year I actually got the stomach bug the next day! Carving a pumpkin does not mean cutting all into it and getting out the guts. You can simply carve out the skin for a unique and sophisticated look. Just no candles in this one. 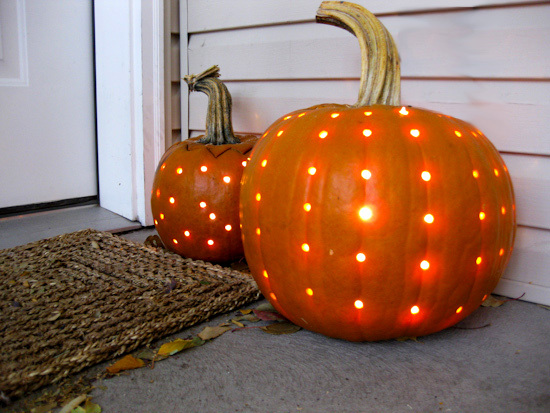 Another great way is to use a dremmel and make holes around the whole pumpkin once it is cleaned out What a fun look. These two Pumpkin Carving pictures are quite unique. I don’t think I would have the patience for the skull pumpkin above but thought it was too good not to share. They don’t all have to be scary or carved to get a cute pumpkin face. These look like the fake ones from the craft store with crafting supplies glued on. I love the stacked look too. How about adding other veggies to make them into different faces? This reminds me of a craft I did for a kids Halloween party. Use your magazines and cut out face parts and just glue them on. I used small pumpkins you can read more on the post on the kids pumpkin face craft. Pull out the acrylic paints and make up your own faces. You will want to keep this and the magazine ones indoors. Who say you have to only decorate one pumpkin or that they have to be spooky. Love this one from Craft Gossip. Another Pumpkin Face that is crafted from Food. Candy is such a focus this time of year, you might as well decorate with it!! 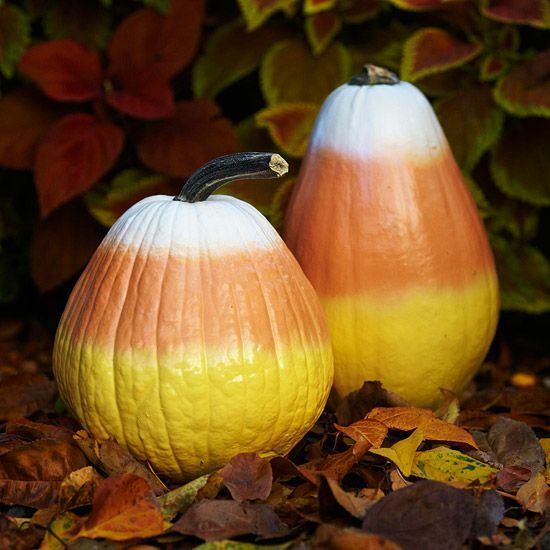 Love these Candy Corn Pumpkins from Midwest Living. 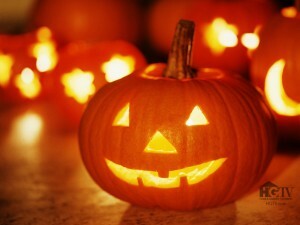 Any thoughts for your pumpkin this year? 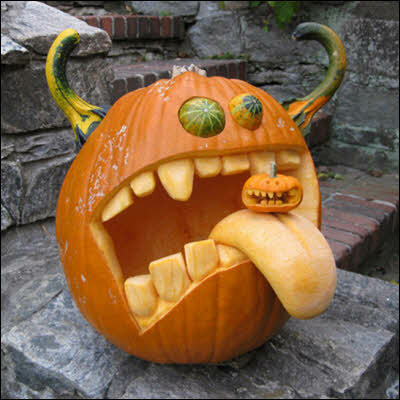 Maybe you have a wonderful Pumpkin Carving design to share. 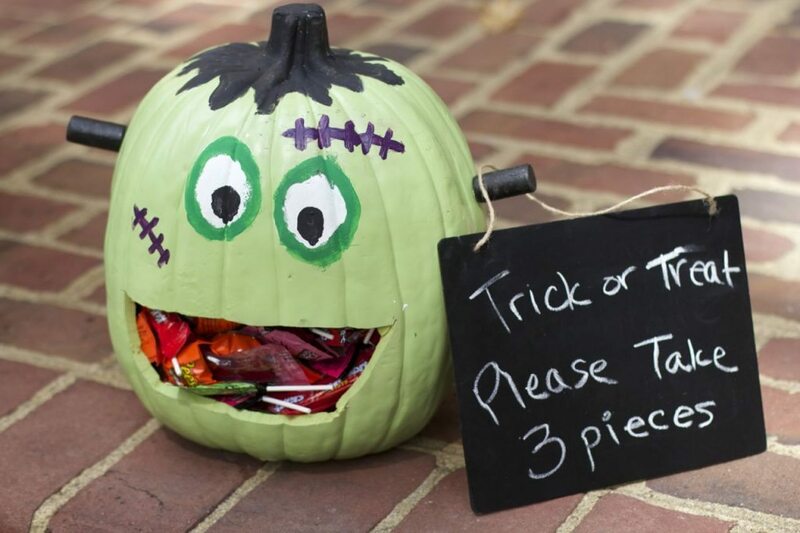 How about turning your pumpkin into a candy holder this year? 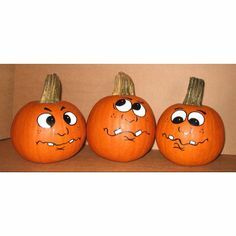 Which Pumpkin Carving Idea Do you like best?